Proteins with prion-like behavior are attracting an increasing interest, since accumulating evidences indicate that they play relevant roles both in health and disease. The self-assembly of these proteins into insoluble aggregates is associated with severe neuropathological processes such as amyotrophic lateral sclerosis (ALS). However, in normal conditions, they are known to accomplish a wide range of functional roles. The conformational duality of prion-like proteins is often encoded in specific protein regions, named prion-like domains (PrLDs). PrLDs are usually long and disordered regions of low complexity. We have shown that PrLDs might contain soft-amyloid cores that contribute significantly to trigger their aggregation, as well as to support their propagation. 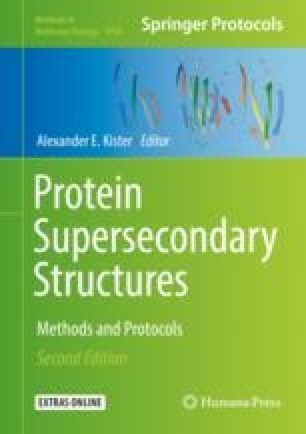 Further exploration of the role of these sequences in the conformational conversion of prion-like proteins might provide novel insights into the mechanism of action and regulation of these polypeptides, enabling the future development of therapeutic strategies. Here, we describe a set of methodologies aimed to identify and characterize these short amyloid stretches in a protein or proteome of interest, ranging from in silico detection to in vitro and in vivo evaluation and validation. This work was funded by the Spanish Ministry of Economy and Competitiveness BIO2016-783-78310-R to S.V. and by ICREA, ICREA-Academia 2015 to S.V.